Cream shadows can be hit or miss in my opinion. The really creamy ones can be amazing to blend but the tiniest bit of oil can make them crease like crazy. And then there are the ones that may last forever on the lid, but dry before you even finish blending. Eek! 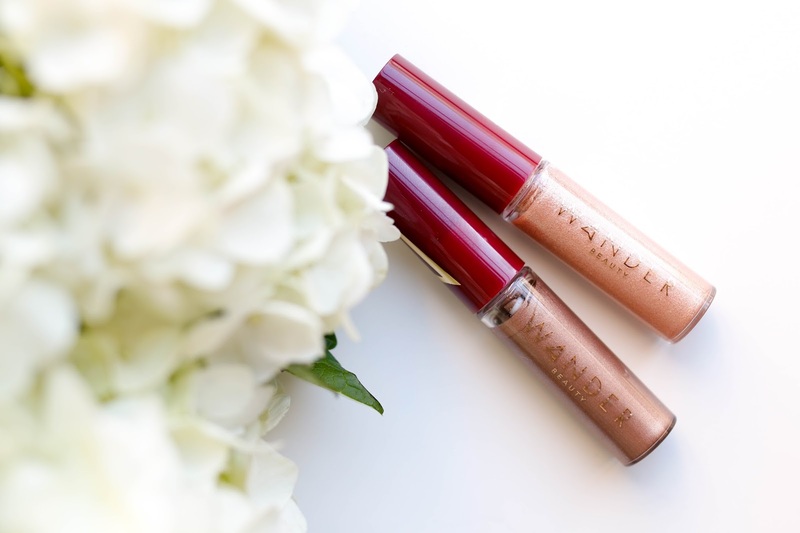 These new cream eyeshadows from Wander Beauty fall somewhere in between. They swatch beautifully, deposit an even amount of color and allow enough time to blend thoroughly before drying down to a creaseless finish. I instantly fell in love with Bronze because it's gives depth to a look without needing multiple colors. It actually has a slightly thicker texture which I like. I can apply this with my fingers but prefer using a brush to blend. While it does dry down quickly, I still have time to move it around and get a finished look. 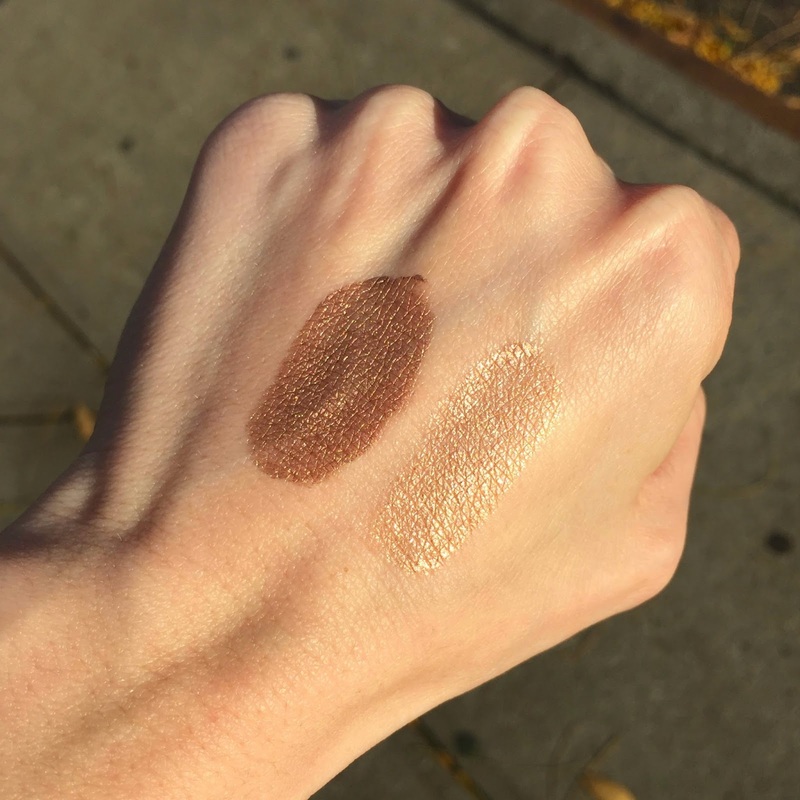 Champagne is thinner in texture but after wearing it a few times, I enjoy that it looks more like glowing skin on the lids rather than a shimmer shadow. 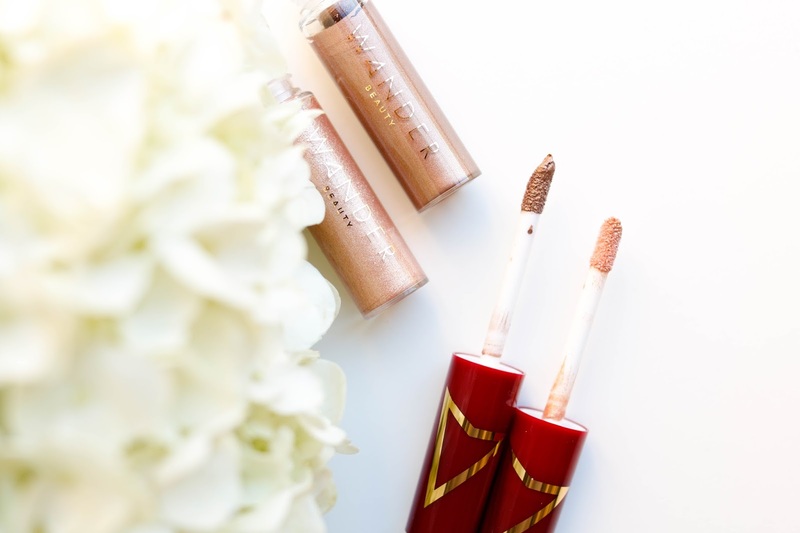 And because the color is so delicate and the formula is so sheer, I have been tempted to tap it onto my cheekbones for a warm glow. There are 4 shades to this range, and all are wearable and suitable for any skin tone and any occasion.